This information is shared by Mr. Luu Xuan Vinh, Chairman of the Ninh Thuan Provincial People’s Committee, in an interview granted to Vietnam Business Forum Magazine. 2018 was the first year Ninh Thuan province completed and exceeded all 15 targets, with gross regional domestic product (GRDP) growth reaching 10.25% to stand among best performers in the country, and budget revenue amounting at VND2,960 billion, finishing two years ahead of schedule set by the Resolution of the 13th Provincial Party Congress. Quoc Hung reports. Could you briefly introduce the remarkable socioeconomic development results of Ninh Thuan province in recent years, especially in 2018? 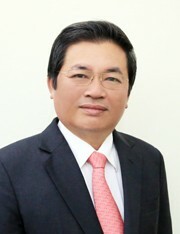 Despite many existing difficulties, with the spirit of promoting internal resources plus the firm, focused direction of Party committees and authorities, the consensus of the people and the business community, the important and effective support and guidance of the central government, Ninh Thuan province’s socioeconomic performance fared well in the last three years (2016 - 2018), especially in key pillars of marine economy, renewable energy, tourism and high-tech agriculture, to create a new face, new resilience and deliver many key growth indicators. The economy grew well and moved in the right direction; social security policies were implemented fully and promptly; politics, social order and security were guaranteed. Particularly, 2018 was the first year the province completed and exceeded all 15 targets, with gross regional domestic product (GRDP) growth reaching 10.25% to stand among best performers in the country, and budget revenue amounting at VND2,960 billion, finishing two years ahead of schedule set by the Resolution of the 13th Provincial Party Congress. The total investment capital rose 46% year on year to VND12,920 billion and its foreign direct investment (FDI) value stood high amongst recipients in the year. 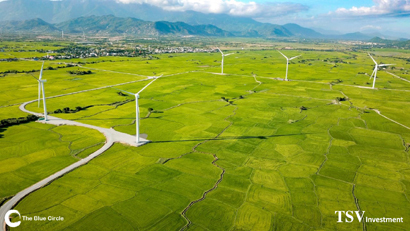 The renewable energy sector made clear progress, with 114.4 MW of wind power and solar connected to the national grid, becoming an important driving force of economic growth. The political and social situation was stable; foreign affairs and international integration were promoted and achieved many positive results. The position of the province was raised. These were remarkable achievements for a poor province like Ninh Thuan. In the context of national and global economic volatility, what were the causes and motivations for Ninh Thuan to attain these important achievements, sir? First of all, the province always received the effective guidance and support of the Party Central Committee, the National Assembly, the Government and central agencies in the course of executing local socioeconomic development tasks. Secondly, the province proactively proposed the Government and central agencies give specific mechanisms and policies to it. The Government issued Resolution 115/NQ-CP dated August 31, 2018 on specific support mechanisms and policies for the province. This policy is very significant for local socioeconomic development in the period to 2023 and beyond, first of all supporting it to draw investment capital with many effective policies for key pillars of renewable energy, hydroelectricity, gas-fueled electricity, tourism and high-tech agriculture. In addition, it got support policies on infrastructure investment to adapt to climate change, attract official development assistance (ODA) fund, develop industrial zones, build many socioeconomic infrastructure projects to 2020 and beyond, and execute social security policies and mechanisms. With its approved proposals, the province enlisted many sources of supplementary capital for medium-term and annual plans. Thirdly, the province adopted firm and flexible leadership and administration, quickly took opportunities and creatively applied central guidelines and policies to local reality. Ninh Thuan renovated investment promotion, figured out investor selection criteria, actively approached strategic investors to draw investment funds, promptly supported investors to deal with difficulties and obstacles to speed up the progress of project implementation and expand investment scale. Fourthly, the solidarity tradition was promoted to build social consensus in implementing major policy decisions on local socioeconomic development. The leader responsibility and the active response of all levels and sectors was elevated. Public officers kept enthusiastic, responsible, and actively strived to complete their assigned tasks. Based on successes in previous years, how will Ninh Thuan province fare in 2019? 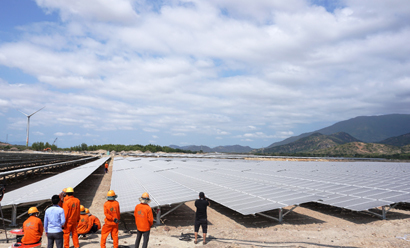 According to the electricity energy development plan to 2020, Vietnam will produce about 60,000 MW of electricity, with Ninh Thuan province contributing more than 19,000 MW, accounting for 32.5%. In 2019, Ninh Thuan province strives to achieve GRDP growth of 10 - 11%, even higher. What solutions will the province take to achieve this goal? Economically, maintaining and activating growth drivers; improving economic productivity, efficiency and competitiveness; drastically implementing key economic tasks like restructuring the economy, changing the growth model and raising growth quality; speeding up scientific and technological application, innovation and business startup. On culture and society, comprehensively and harmoniously developing cultural and social fields; promoting patriotic emulation movements, celebrating the 50th anniversary of realizing President Ho Chi Minh's testament, constantly improving people’s lives; strengthening resource management, environmental protection, disaster prevention and response to climate change; upholding foreign affairs and international integration. On administration, defense and security construction, building an administration of discipline, integrity, action and service; creating a favorable business and investment environment for enterprises and people; tightening administrative and public discipline; creating motivation and responsibility for collectives and individuals, especially leaders; reforming administrative reforms, building an e-government with a streamlined, effective and efficient staffing apparatus; and executing military and defense tasks in the new situation and context carrying out solutions to ensure security, social order, fire protection and traffic safety.